The Adélie Penguin is a species of penguin common along the entire Antarctic coast, which is their only residence. They are among the most southerly distributed of all seabirds, as are the Emperor Penguin, the South Polar Skua, the Wilson's Storm Petrel, the Snow Petrel, and the Antarctic Petrel. In 1840, French explorer Jules Dumont d'Urville named them for his wife, Adélie. 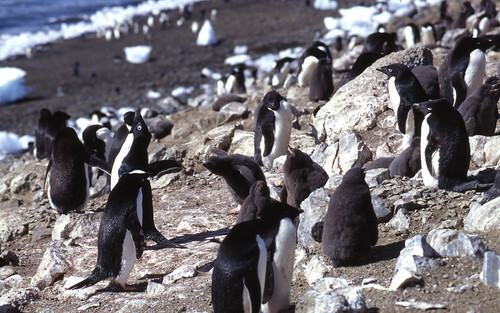 There are estimated to be a total of 2.4-3.2 million breeding pairs of Adélie penguins; they are distributed around the coastline of the Antarctic continent.